We’re swooping into the dark for our festive Battalion launch! Join us for a magical interactive reading on 12th December 2018, as part of Walthamstow Wetlands Lates! We’ll be starting at 7pm sharp, and the hour will include readings and short talks from Battalion contributors L. Kiew, Mike Weston, SJ Fowler, Julia Lewis, James Coghill and Cliff Hammett. Your hosts will be your devoted editors, Kirsten and Jon. Expect party bags, micro-games and exercises themed around bats and poetry about these enchanting flying mammals. Tickets are £5, which includes a glass of mulled wine and access to all of the other events going on that evening at the reserve. You can explore the space and take a peaceful moonlight turn around the centre. You’ll also be supporting a wonderful project to protect wildlife in the heart of London. Looking to give something back this Christmas? For every full-price Battalion we sell in December 2018, we’ll donate £1 to the Bat Conservation Trust to support their vital work. 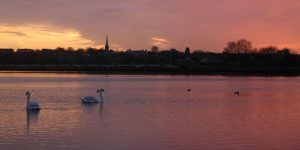 Author Kirsten IrvingPosted on December 2, 2018 December 2, 2018 Categories eventsTags battalion, poetry, Walthamstow WetlandsLeave a comment on Battalion interactive launch at Walthamstow Wetlands Lates! Alkemi: post-show thoughts and thanks! As August slipped out of sight and September approached, Alkemi took place at The Nines, Peckham, as Sidekick Books, in collaboration with the Stockholm Review of Literature, put on a post-Brexit reading celebrating European poetry! 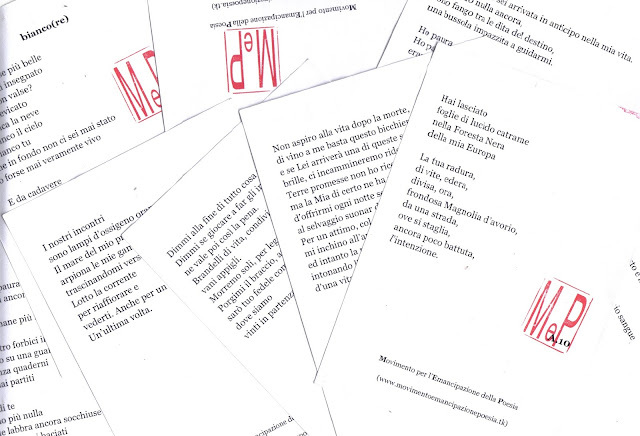 Poets read translations of their own work across French, German, Swedish and Polish, alongside non-translated poetry and the work of their partners. We got Brechtian love poetry, anxiety and shape-shifting, memories and adventure. Jon Stone hosted, reading translations of Dutch and Spanish work (with thanks to a brave audience member who stepped up to read the original Spanish in one case!). You can read his run-up Europoetry posts on Paul Celan and Raymond Queneau on the Sidekick blog. We had a Mini Translation Quiz, which you can take here (and the answers are here). Thanks to the Nines for having us, the wonderful audience who embraced their curiosity, the readers and the Stockholm Review of Literature. Here’s to more collaborative projects in the future! Author Kirsten IrvingPosted on September 1, 2016 October 11, 2016 Categories events, Stockholm Review of Literature, translationLeave a comment on Alkemi: post-show thoughts and thanks! In the run-up to Sidekick’s Alkemi event, run in conjunction with the Stockholm Review of Literature, I’m touring the Europe of my poetry bookshelf. Dominated as it is by British poets, and limited as I am by my lack of facility in any language other than my own, there are still quite a few Europeans who have managed to infiltrate. Today I’m going to reflect briefly on a recent addition: Raymond Queneau. But Queneau is a Charles Xavier among poets; his reach and influence extends well beyond those who have actually read his work. And not simply because his disciples have disciples of their own, or because he was the head of a movement (Oulipo) that has had more than one zeitgeist-y moment, but also because his achievements as an innovator can be boiled down to simple, eye-opening descriptions that have the power to send other writers scurrying to their laboratory-sheds to replicate his experiments. When you first hear about Exercises de Style, for instance – a book that recounts the same anecdote 99 times, each in a different literary or journalistic style – you can grasp the significance of it without a lesson in literary history, and without having to so much as glance at a single page. On a certain date, a corporate crate on which the electorate congregate when they migrate at great rate, late, had to accommodate an ornate, tracheate celibate, who started to altercate with a proximate inmate, and ejaculate: “Oi, mate!” But to anticipate Billingsgate debate, he hastened to abate, and sate. An houate aftrate, in front of the Saint-Lazate gate, I notate him agate, talkate about a buttate, a buttate on his overcate. The bus was full and he tried to get on it. Rich bastards lit cigars there, to impress. Returning, found his buttons did not fit. It’s similarly easy to get the gist of Cent mille milliards de poèmes, a set of ten sonnets with entirely interchangeable lines, allowing for, well, a hundred million million possible combinations. You’re more likely to encounter this work on a website than in book form, and it’s no coincidence that Queneau is referenced in every single book on games studies I currently have on loan from the library – his work is a touchstone for students in game-like literature, literature as inducement to play. The mere fact of its existence is encouraging for anyone troubled by the apparent one-sidedness of the author-reader relationship in poetry. That much of the value and import of Queneau’s work resides in its formulation also means that he comfortably vaults the language barrier. If you don’t need to read him in English, you certainly don’t need to read him in French. This is not without drawbacks: I’ve detected for a while now a fatigue with Oulipo-inspired work by English-speaking poets, and the murmurings of complaint that the average Queneau-em lacks both purpose and substance. Arguably, anyone truly wishing to imitate the spirit of Queneau should be concocting their own formal innovations, not simply repeating his exercises. One invention of his in particular, the univocalism, long ago became the English-poetry equivalent of bicep-flexing. And it can be galling to be dismissed as an Oulipian trickster simply because one makes use of ideas that have now been around for more than half a century. So it makes sense to turn back to the work itself, and inevitably find that there’s more to this poet than clever and hyper-restrictive forms. What I like most about Queneau (the above book isn’t the only one I’ve read, just the only one I own) is his penchant for inter-poem patterning and assemblage. It isn’t just the poems, but the books themselves that are elaborate structures. In Morale élémentaire, for instance, the latter half of the book consists of 64 prose poems based roughly on hexagrams from the I Ching. It’s like a deck of cards; it could be published as a deck of cards. Content-wise, tone-wise the poems are incredibly ranging – sprawling, even – and yet they always feel reined in, always feel marshalled. I hate to end on a cliche, but this is precisely what I consider to be missing from many poetry books that leave me cold. At the very least, it makes for a refreshing alternative. Queneau sells you the complete set, painstakingly collected, the finished sticker book, rather than giving you the junk shop tour. So then! On Wednesday next week, Sidekick team up with the Stockholm Review of Literature for the above event, Alkemi, which centers around European poetry read in its original form alongside English translations. 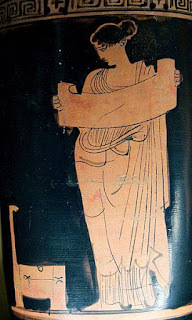 In the last few days before the event, I’m going to do a very short series of posts about key European poets of My Bookshelf, from the perspective of a reader with very little aptitude (despite ongoing attempts to rectify this) for foreign languages. To start with, Paul Celan, born Paul Antschel, 1920 – 1970, a Romanian-born poet who wrote in German, forging progressively sparser, sharper, harder sliver-shards of poetry throughout his career. My first encounter with Celan was in the third year of my undergraduate degree at UEA. I apologise for the mundanity of this. He appeared on a course of major German poets, alongside Rilke and Hölderlin, and I wrote a coursework essay on him, which I am sure I could no longer stand by, arguing that he was writing toward the ‘end of language’. The marks I received suggested I was on the right track, but that has very little to do with why I keep returning to this poet. The bluffer’s guide to poetry will tell you that if someone brings up Celan, you bring up his suicide and the Holocaust. Both of Celan’s parents died in labour camps, and he himself spent time in one before being liberated by the Russian advance. It’s widely accepted that his poetry addresses and struggles with that experience, and his most famous poem, ‘Todesfuge’ (Death Fugue), is entirely unambiguous in taking on that subject matter. The bluffer’s guide might suggest that you quote “through the thousand darknesses of murderous speech”, Celan’s assessment of how language itself (in particular, German) was brutalised by the Nazi regime. Beyond that, you may well be advised to say nothing at all – Celan is difficult, and more importantly, criticism of Celan is difficult. What I’ve read of it is deep-reaching, meticulous, hard to follow and impossible for me to summarise. It makes the poet himself seem dark, despondent and, er, difficult. But still, none of this is why I keep coming back to him. This may seem intellectually irresponsible, even culturally insensitive, but I’m not that interested in engaging with the Holocaust, or with the Jewish experience, through Celan’s writing. To the extent that particular poems can be traced back to distinct episodes in his life, this is a little more arresting, but I am generally not a fan of parsing the poem as biographical insight. For me, he is much more intriguing as a poet of jagged, crystal strangeness, particularly towards the end of his career, when he made heavy use of neologisms and portmanteau, shunting words together to gesture at new and frightening concepts. An important part of the effect comes from the hard edges (as I perceive it) of the German language, and it’s always worth reading several translations of Celan to see the extent to which different translators have tried echo the sound of the original poem. I could probably go into a thorough comparison of different translations at this point, but I’m not sure I’m up to the task right now, and this is meant to be a very short article. So I’ll end here by saying that the German sound is so integral to the feel of Celan’s poems that when I attempted my own versions, I went so far as to ignore the literal sense entirely and produce a homophonic translation, a form of poem decried by Don Paterson as avant-garde whimsy. The result frustrated a reviewer of my own book, though it’s hard to imagine he would have found much more sense in a literal translation. Below is the original German, followed by Ian Fairley’s translation, then Michael Hamburger’s, and finally my homophonic version from School of Forgery. Beasts! Beasts all over the Library! Orcas and Dinos and Bears, oh my! A parliament of strange beasties crept and swooped and skittered across Covent Garden last night, as Sidekick ran wild with Birds, Tiger and Terrible Lizards: A Literary Bestiary! A feathered raccoon, a many-eyed bear and a very stripey long-eared bat. Dr Moreau would be proud. JT Welsch came down from York for a fantastic set, which brought to life the prehistoric stars of Hell Creek Anthology (not to mention his splendid tribute to his dog, who couldn’t make it along). The poets of Birdbook III: Farmland, Heathland, Mountain, Moorland treated us to their finest animal poetry. Sarah Hesketh reads some merlin magic. Chris Jones describes the ring ouzel. Christopher Reid on the carrion crow and corncrake. Dzifa Benson talks little owl and wood pigeon. Chris Beckett takes on the woodlark and red grouse. And Jon and K sprinkled some movie magic in there too with a couple of extracts from Lives Beyond Us. The rightful quiz victor was Peter Daniels, whose poem addressed the rook. Thank you to Library for hosting us, Ana Sefer for inviting us, all of the readers, the poets and artists of Birdbook III and the masquerading, dino-drawing, quizzical, wonderful audience. You! I’ll leave you with the winner of the mask-making. Transforming a bear into an orca, indeed. Author Kirsten IrvingPosted on March 31, 2016 October 11, 2016 Categories birdbook 3, events, hell creek anthology, library london, Lives Beyond UsLeave a comment on Beasts! Beasts all over the Library! The Facebook page for the event is here, but if you don’t use Facebook, please RSVP to us at events@sidekickbooks.com so that we know you’re coming, as there will be a guest list system in operation and we don’t want to leave anyone out in the cold. On 12th November, the Royal Observatory at Greenwich is hosting ‘Laboratorio’, a live reading from our book of the same name, featuring editor/poet Simon Barraclough and a number of the real life astrophysicists who contributed work. Tickets are £8 and can be bought from the Royal Museums Greenwich website here. 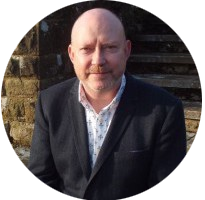 Ahead of this exciting trip into other realms, we thought we’d explore the inside of the editor’s head, interviewing Simon about spare spaceships, kamikaze deer and smashing the science/art binary. Where did your interest in space sciences come from and what led you to combine it with poetry? I think I was into space before I knew anything about the science behind and around it. When I was a little boy I used to lie on my back on the huge unlit playing field in front of my house in Huddersfield and marvel at the night sky, the Milky Way (which was very visible on the darkest, clearest nights), the bright planets and the satellites (which I hoped were alien spaceships). I also spent hours in the library pawing over books on cosmology and astronomy. I just loved the beauty of it all and the unidentifiable yearning it provoked: a yearning to explore, to disappear, to change my life, to be abducted into the infinite. 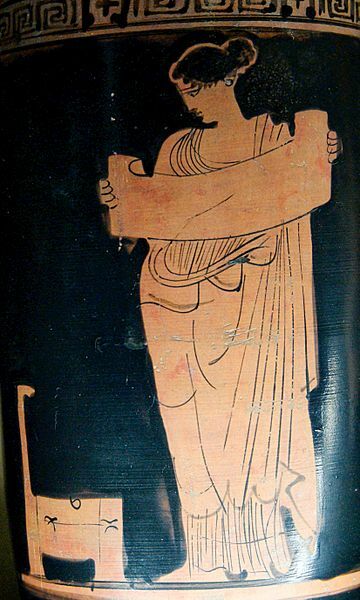 As I grew older I learned more about physics, astronomy and space exploration but by then I was so immersed in art and literature that I neglected the more scientific path I might have taken. I must admit though, that while my physics was strong, my maths began to fail me around the age of 15 or so and that nudged me towards literature and history and creative writing. 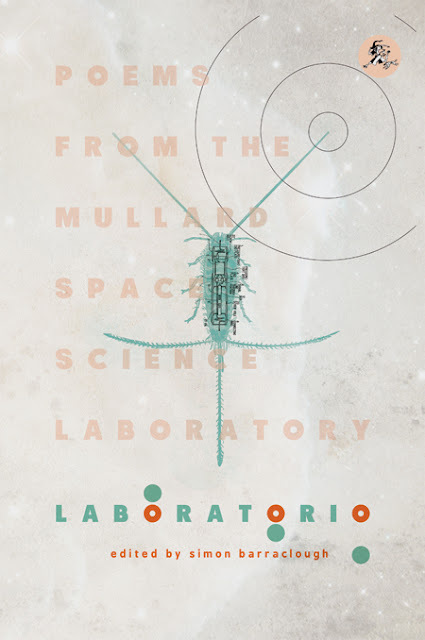 How did you become involved with the Mullard Space Science Laboratory? As with many good things, it happened almost by chance. I took part in an event with Marek Kukula (our wonderful Public Astronomer) called ‘Notes from the Universe’ at the South Bank in early 2013. I was talking about a sequence of ‘micro-poems’ I had written for Arc Magazine called ‘From Big Bang to Heat Death’, and also presenting work from my then-current book project ‘Sunspots’. Marek is very keen on bringing art and literature and science together and while we were chatting I asked him if he knew any solar physicists I could speak to about ‘Sunspots’. He suggested Dr. (now Professor) Lucie Green, who presented ‘The Sky at Night’ for several years. Lucie studies the Sun and our shared obsession meant led to some enthusiastic emails and phone call and we eventually met at her place of work, UCL’s Mullard Space Science Lab out in the green Surrey Hills. My initial aim in all this was to augment my Sun research with the help of the Solar Group at the lab but I found the whole place so quirky, rich, diverse, and fascinating that I started thinking about doing something more inclusive and outgoing than simply working on my own book. So I began chatting to Lucie about some kind of ‘writer in residence’ role for myself, in which I would write about the laboratory and its inhabitants but, more importantly, I would try to generate new work and new forms of communication between the staff and students of the lab and its many different departments. We were lucky enough to receive a small grant from the Science and Technology Facilities Council, and I took up the role in January 2014. What was the most surprising part of the residency for you? Deer jumping into the path of the car that drove me through the narrow winding lanes to the lab. Less viscerally, I was surprised by how many people took time out from their incredibly busy and fascinating jobs to read, write, discuss and enjoy poetry with me every couple of weeks. I was also pleasantly surprised that they were willing to do the strange things I asked them to: like automatic writing, reading Beckett plays in the blazing Sun and recording a site-specific poem in a cramped, resonant observatory. I wasn’t surprised that our discussions were so thoughtful and entertaining or that the work people produced was of such high quality. Give us your favourite space fact from your time at the laboratory. Something I hadn’t thought about was how, when a spacecraft is designed, tested and prepared for flight, two of them are made but only one sent on its mission. The remaining craft is used for further testing and comparison should the space-bound version encounter problems. Matt Hill, a PhD student working on cryogenic physics, wrote a gently poignant poem called ‘Flight Spare’ about this less favoured also-ran. What was the idea behind mixing the work of poets with space science interests and researchers comparatively new to poetry? The ‘official’ idea was to explore new ways for the members of the lab to communicate, work together, step out of possible ‘silos’, and play with new ways of thinking and writing. I also wanted the lab to become a little more ‘conscious’ of itself and also to find a new way for the facility to engage the public. At our ‘Sun and Moon’ event with Liane Strauss, many local fans of astronomy and literature came up to the common room for poetry, films, wine and nibbles. It was the first time that some of the scientists had read their creative writing in public. The ‘unofficial’ idea was to do something a little different and enjoy ourselves. So what’s with the silverfish on the cover? A few weeks into my residency we discovered an infestation of silverfish in the library, assiduously devouring a century’s worth of astronomical research right under our noses. This led to many discussions about knowledge, data, ‘higher’ and ‘lower’ intelligences and how, if we had to, we might recoup vital scientific knowledge from the innards of silverfish. Also, silverfish are such intricate, beautiful creatures that took billions of years to get here: through a certain lens they looked to us like alien beings or exquisite spacecraft. The anthology is dedicated for spaceships and silverfish, which I find quite moving and very apt. Why do you think there is such a tendency to segregate artistic and scientific practice, culturally, and to categorise people as left-brained or right-brained? Such binaries tend to fall apart when you get to interact with people up-close, of course, although their traces have an impact. Modern education has a way of dividing and channeling people down the two classic cultural pathways of Science and Humanities, and with those paths come all kinds of assumptions, anxieties, and unfortunate blockages to certain types of knowledge. My masters degree was in Critical Theory, which in many ways was grounded in an attempt to bring the humanities and science together (think Levi-Strauss, structuralism, poststructuralism, Lacan’s unconvincing flirtation with maths and scientific formulae). Although a certain amount of this was, at least to my mind, tortuous sophistry, I suppose I was always open to bringing these different approaches to culture together. Part of the whole point of ‘Laboratorio’ was to merge and blend the worlds of space science, engineering, scientific writing, creative writing, performance and interpretation. While there was a certain amount of fear on both ‘sides’ during my year at the lab, the results are a resounding testament to how all these fields and dichotomies can intermingle. Although I now feel even worse about my limited maths than ever. A good question that needs much more space than this to discuss. Describe the appeal of Laboratorio to someone new to poetry and someone new to planetary science. 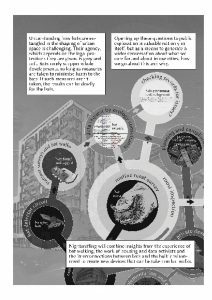 What advice would you have for other artists interested in doing a residency with scientists? Be open, inclusive, enthusiastic, supportive and open to new ideas. And always have a trick or two, or a tricky exercise, in your back pocket. Also, make sure you accommodate those who may prefer quiet or solitary work to the more extrovert, group-based approach. But don’t worry about reaching everybody: some will appreciate your work silently and some won’t even realise you’re there! And do check out the STFC for possible funding. Without them, we couldn’t have made ‘Laboratorio’ happen. Finally, tell us about the event at the Greenwich Royal Observatory! On Thursday November 12 we are officially launching the anthology at the fantastic Peter Harrison Planetarium at Greenwich. Marek Kukula will chair a discussion between myself, Lucie Greene, Julia Gaudelli and Matt Hills and there will be short readings and visuals to boot. I launched Sunspots at the Planetarium and it’s a wonderful venue for mixing art and science in a dramatic setting. 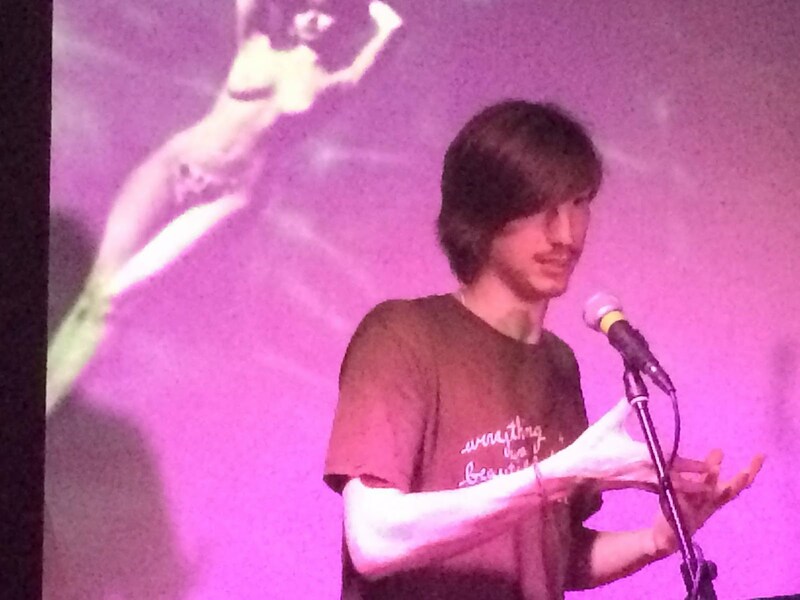 Sidekick are collaborating in two exciting, one-off forthcoming events. On Monday, 26th October, we’re joining Abigail Parry, writer-in-residence at the National Video Games Arcade in Nottingham, for CONTROL ROOM, an experimental interactive literature evening, mixing games and poetry. The audience can come and go as they please, ‘playing’ at one of four simultaneous poetry installations from 7pm onwards. 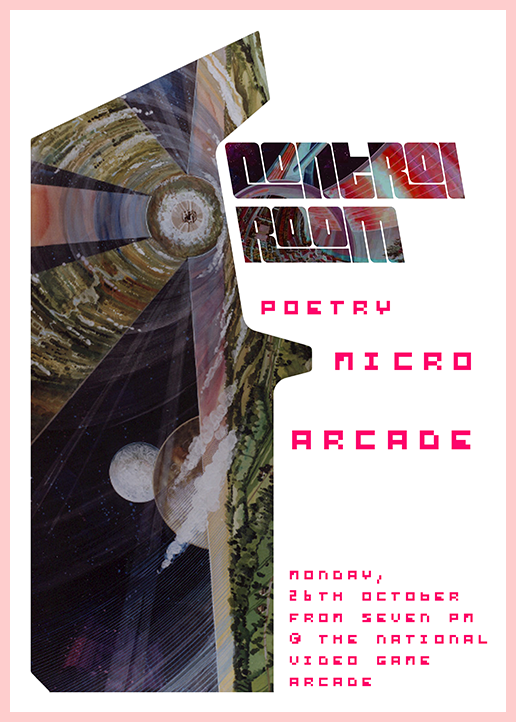 The poets Harry Man and Abi Palmer will also be performing, and there’s board games next door. The event is part of GameCity, the NVA’s annual festival of games. Then, on 12th November, the Royal Observatory at Greenwich is hosting ‘Laboratorio’, a live reading from our book of the same name, featuring editor/poet Simon Barraclough and a number of the real life astrophysicists who contributed work. Tickets are £8 and can be bought from the Royal Museums Greenwich website here. HELL. CREEK. ANTHOLOGY. The book and the York launch. If you separate out the words of the title, it sounds just like the thump and rumble of an approaching theropod. HELL. CREEK. ANTHOLOGY. Run for cover! 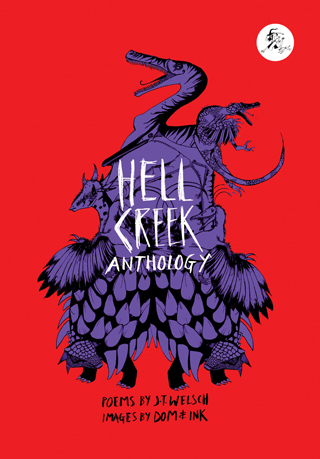 Hell Creek, our latest team-up book, is out today and can be bought from us directly. Poet J.T. Welsch and illustrator Dom & Ink have teamed up to deliver a winning pastiche of Edgar Lee Masters’ famous Spoon River Anthology, replacing the townsfolk with dinosaurs from real life Hell Creek, Montana. The first launch reading for the book will be taking place this coming Monday, 12 October, from 7pm at the De Gray Lecture Theatre at York St John University. It’s a double launch with Naomi Booth’s The Lost Art of Sinking and is free, but ticketed. Further details here. Author Jon StonePosted on October 9, 2015 Categories anthologies, events, poetry, Team-upsLeave a comment on HELL. CREEK. ANTHOLOGY. The book and the York launch. 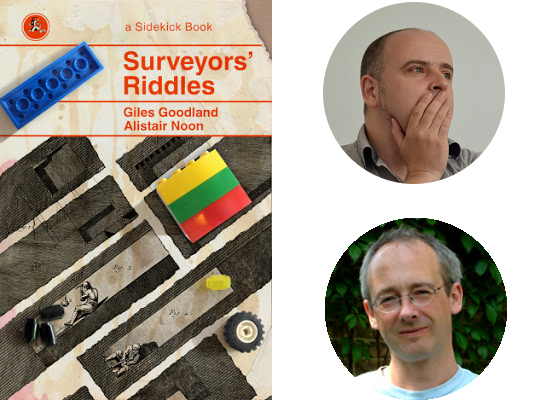 Giles Goodland and Alistair Noon will be launching their sprawlingly epic collaborative pamphlet Surveyors’ Riddles at the Albion Beatnik in Oxford this Friday, 2nd October, from 7.30pm. That’s the Albion Beatnik, 34 Walton Street in Oxford, the very next Friday after this very blogpost, from half past seven o’clock in the evening! But what is Surveyors’ Riddles exactly? Or rather, what are the Surveyors’ Riddles? A lost ancient text from an alternative dimension? A kind of auto-mutating procedural text containing clues to the past and the future? A series of translations that take place through a dozen languages? Do even Noon and Goodland know what they have uncovered through their audacious technique of ‘genetic poem sequencing’? We at Sidekick invite you to let this ever-shifting, anarcho-comic-historic poemavalanche swallow you up.